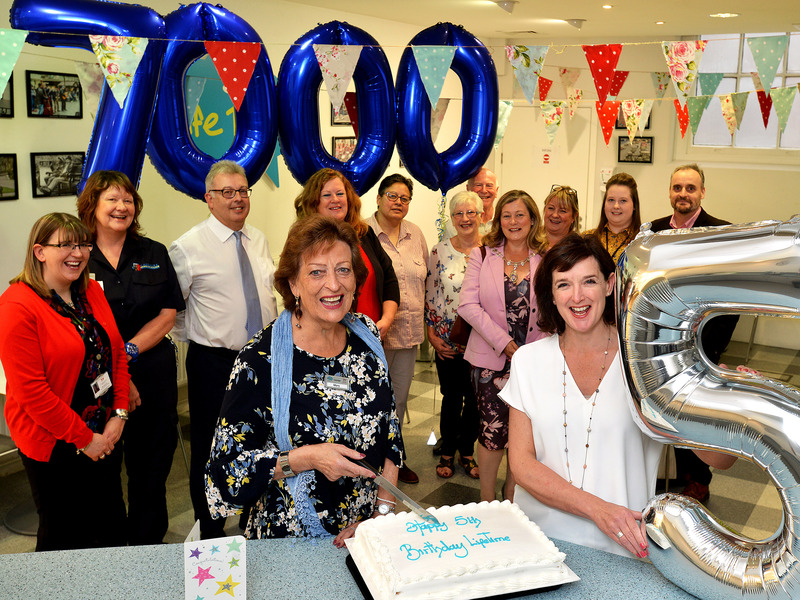 More than 7,000 activities and events have taken place at our LifeTime centre over the last five years to help improve the lives of older people in Warrington. Staff, volunteers, health professionals and members of LifeTime, based at The Gateway, held a fifth birthday celebration to commemorate the achievements of the centre. Over the five years there have been more than 62,000 visits to LifeTime events and activities by people over the age of 50 and today, more than 600 people regularly take part, at least once a month, in one of the 50 activities run each week from Zumba, art and photography, to craft sessions, IT skills, a choir and day trips. Gerry Kiddle, director of LifeTime, which is run by Warrington Housing Association, said since launching in 2013, LifeTime has become a vital service to improve health and reduce loneliness and isolation – with fun and engaging events and activities. She added: “There is an image of what people think later life is – but LifeTime aims to change that. We want people to enjoy whatever they want to do at any stage of their life – taking on a new hobby or interest and making friends does not have an age limit. LifeTime member Mary Tyrrell started coming to the centre when she moved to Warrington two years ago after her husband sadly passed away. She said: “I quite often felt very lonely living in a part of the country which was new to me. But I then met a lovely lady on a bus, who introduced me to LifeTime, and it was from then my life took an unexpected turn for the better. “Since joining in March 2016, I have made many new friends by attending activities, which not only keep me active and fit, but also give me a sense of wellbeing and something worthwhile to look forward to. “In particular I love to sing, it is a very sociable and fun environment and I come away feeling energised and really happy. LifeTime has 40 regular volunteers that support the running of the centre, helping to set up groups, activities and events. Two volunteers that have been at LifeTime since it opened are Margaret and Bernard Whitley. Margaret said: “Over the years, we have seen people grow in confidence – and people who struggled at first to get involved are now running groups – which is amazing!